Buying a GoPro or in My Case a FauxPro - JP loves LIFE! The products I mention here are things I found & purchased on my own. I am putting affiliate links in the post so that I may make a tiny commission on any sales generated from the post. 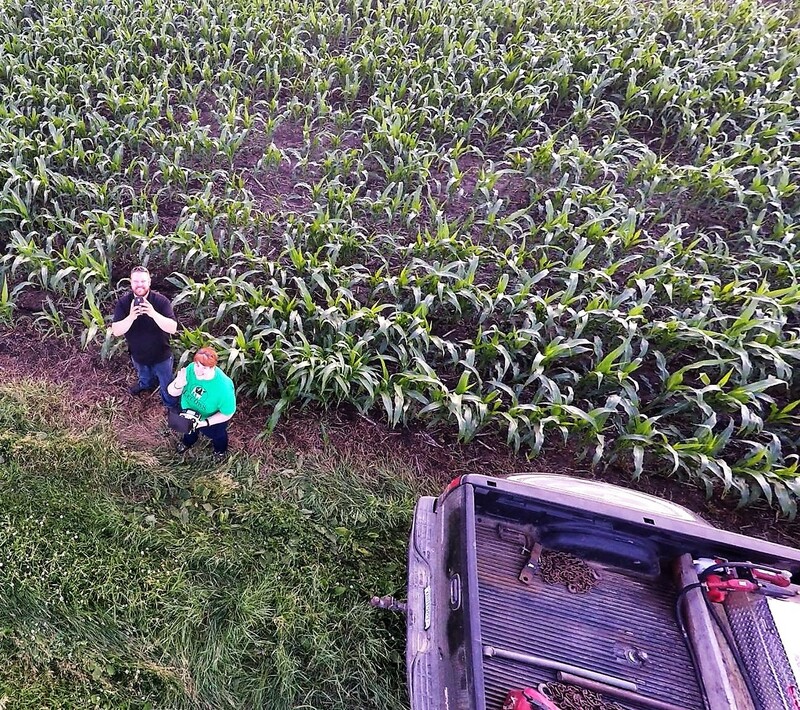 Brent Mohn is the first farmer who naively let me fly his drone, and since I didn’t crash it, I think I should have lots more opportunities. Brent does amazing videos… and although I hate the cold, he makes winter sunrise in Minnesota look AMAZING and the footage he takes by mounting the camera directly to the tractor gives you a ground level view of crops, soil and farms you have likely never seen. 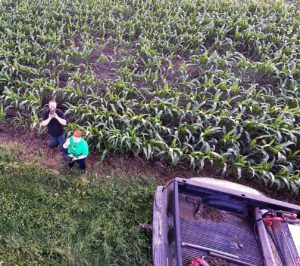 Brian Scott not only uses his GoPro mounted in the cab of his tractor to show his kindergartner learning to drive a tractor but pairs it with a drone to show how big an acre is and how he uses a herbicide my office makes. His blog is thefarmerslife.com and he also shares his videos on his The Farmer’s Life Facebook page and YouTube channels. Judi Graff does a lot of video from her phone too but has taken advantage of the wide angle lens an action camera can offer to give views from around her farm too. All of those videos have made me dream of getting a drone or a GoPro camera, but really, I didn’t have much use for one and while I know I could find the money for it, it seemed a waste of money. I can’t really use a drone given the fact I have a tiny yard and there are regulations that prevent you from using them in public spaces. Now that I have one, I think it would be a great gift for someone heading out on a big trip traveling light or someone who enjoys being really active. But then my sister and I scheduled a snorkeling trip and I decided to reconsider…. it seemed like a GoPro would be perfect except I didn’t want to spend so much on it. I started playing around online wondering who all else is selling similar cameras and was pumped to find some cheaper options. I decided on a FauxPro (at least that’s what I jokingly call it!). 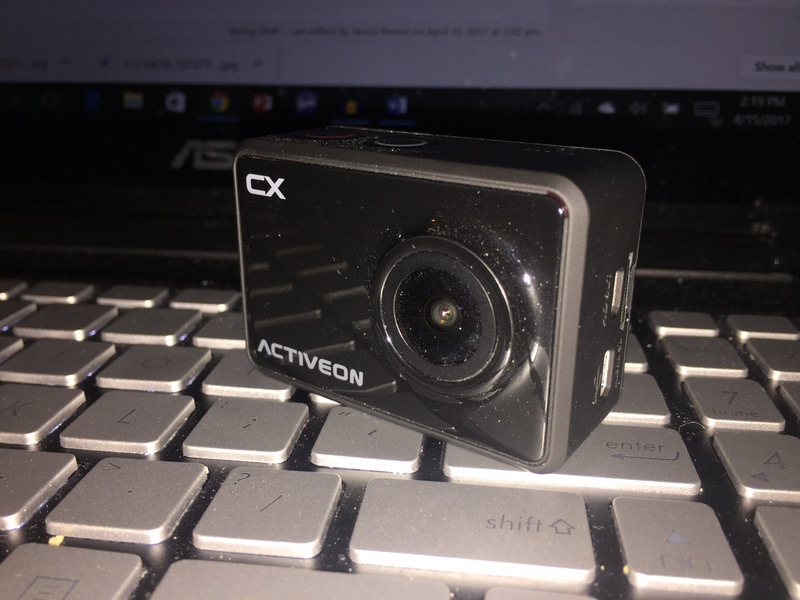 the Activeon CX Action Camera was available so cheaply just under $50! I got an extra CX battery and external charger so I could use it for video longer. An accessories kit that includes a floater with strap, headband, etc. I told only a few really close friends about it as I was wondering whether it would be a waste of the little bit of money I spent on it. After seeing how well it has worked on that trip and as I go through various trips, etc, I’m a fan and thought I’d share why. Price — I mentioned it before, but it deserves a big shout out. Buying a $49 action camera is a lot cheaper than all the GoPro versions I was seeing. I have expensive cameras and gladly spend money there, but I didn’t expect to use this a whole lot. I may have been wrong given the way I’ve used it the last few months. Super light-weight — This camera can stay in my backpack or purse for weeks without a problem. That’s been especially awesome with the way I travel and get out and about. And it is easy to take photos of kids without them getting those goofy faces they get when your phone is out. Water-Resistant Case — The camera came with the water-resistant case needed to take it snorkeling on our trip. It let me feel confident this would add to the trip I was taking and keep going from there as well. I am also using that case to protect it from dust on farm field trips! Unexpected quality — I have to admit that I was surprised when I saw that the resolution is 1080 p for video. Really wide angle — In tight spaces, this has such a great way of working…. Last weekend, I was at dinner with friends and could easily snap a few photos without having to stretch into crazy places. Same thing this week as I was with a group at work. Connectivity to my phone — The phone has wifi and there is an app for Activeon’s camera. so shortly after you snap photos, you can have them on your phone or tablet to share. You can also control the camera from your phone. 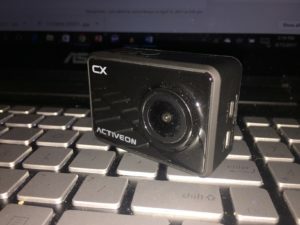 Do you have an action camera? Need one? Thanks for the evaluation, Janice. I’ve been wanting one for farm visits (and because I’m a tech geek wannabe), but couldn’t justify the price of a GoPro to basically play with. Nice to know the Faux Pro is worth the money AND will fit easily in my “Neara-Bradley” purse.